Was a part of him. Secrets Are For Flowers (Beds Are For Flowers book 2) is now live and available for pre-order When I started Beds Are For Flowers I had no idea it was going to be a series. I wanted to write a pure adventure story. Three children follow a road and when they reach the end they face their main conflict. I thought that was the beginning and end of it. I wrote a cute middle-grade fantasy that would go in my portfolio and maybe sell a few copies. I had no idea it would climb the hot new release charts and sell over 150 copies in the first two days. For the first time in my life I felt like a real author–I felt like this is something I could actually make a living from. The funny thing is, any book you write hs the opportunity to be a series. If you can complete a book then the working universe is already there for you to expand upon. The story of Clarence, Wakoba, and Jessi was only getting started and I knew I had to tell it. I wanted to give the new Goodreads Giveaway feature a try. 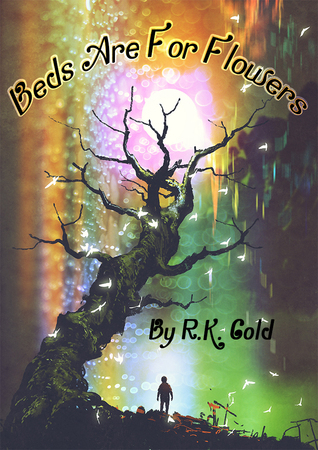 I am giving away 100 kindle copies of Beds Are For Flowers. The giveaway is open from October 22- November 20 and is only available for US citizens (sorry there were no other options–please don’t hate me). Anyway, I’m excited to give it a try, at the very least I am excited to put my book in the hands of 100 new readers! Giveaway ends November 20, 2018.